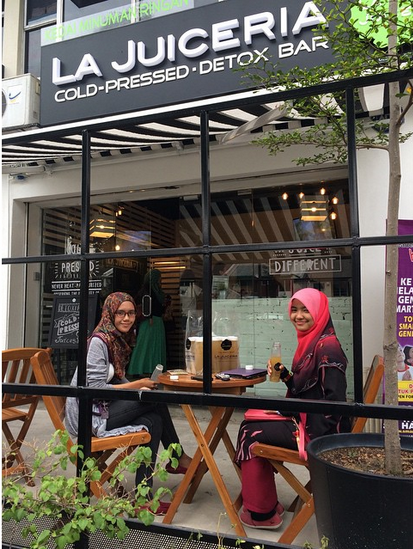 Expatriate in KL: Cold-Pressed Juices at La Juiceria Detox Bars! 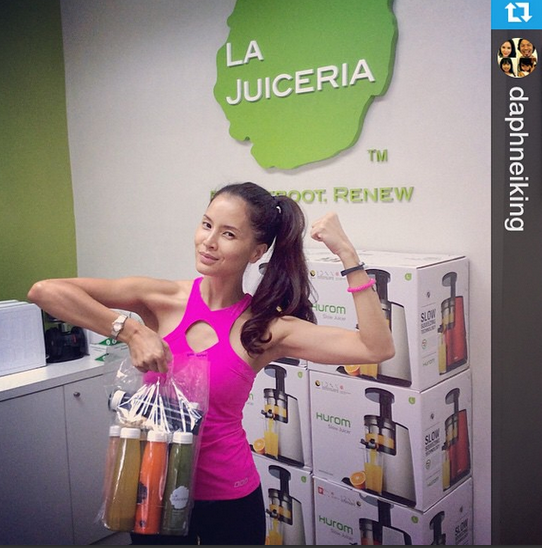 Cold-Pressed Juices at La Juiceria Detox Bars! 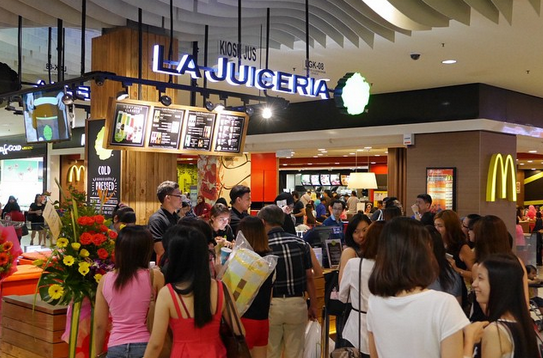 After months of online operations, La Juiceria finally opened its doors to customers at 2 locations. They are selling individual cold-pressed juices for everyone to enjoy. Made from purely vegetables and fruits, all the goodness from nature. Natural, no preservatives nor additives. The shelf-life is very short due to it being RAW and UNPASTEURIZED. Many of their online customers keep coming back for juices. Why? Simply -- we are meant to consume vegetables and fruits. However, with modern life, we end up eating tons of processed foods. One way to "reboot" the way we eat is through Cold-Pressed Juices! Just like what happened to me and my family --- we eat more veggies now, drastically lowered down meat and coffee consumption, lost weight and generally healthier! 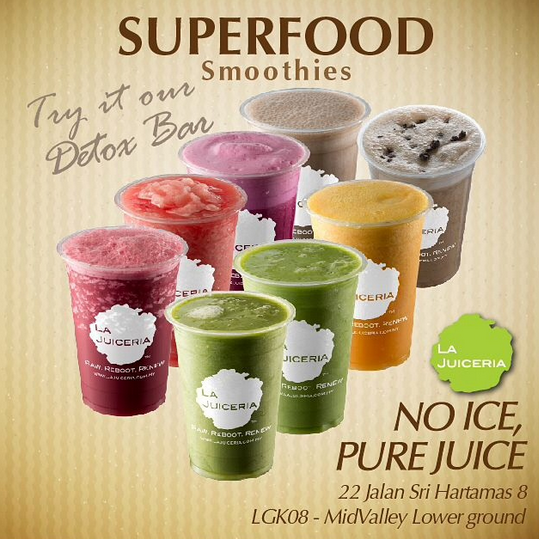 La Juiceria opened 2 new Detox Bars this October 2014. Locations include : Hartamas and Mid-Valley Megamall. One of the stuff that sets them apart ... Superfood Smoothies without ICE. Pure vegetables and fruits plus Superfoods!